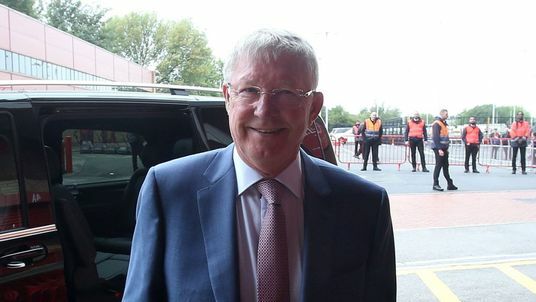 Sir Alex Ferguson has been honoured on his return to Old Trafford for the first time since he suffered a brain haemorrhage in May. The club encouraged fans to be in their seats 15 minutes before kick-off to cheer the former manager. Regarded by many as the greatest manager of all time, Sir Alex said he was overwhelmed by the support shown to him by fans while he was recovering after having emergency surgery. Speaking to the club's in-house television arm, Sir Alex joked: "I don't miss this! This is the pressure, having these press guys with stupid questions! "No, it's great to go back to the stadium and it's going to be quite emotional for me when the game starts, things like that.